WTF! 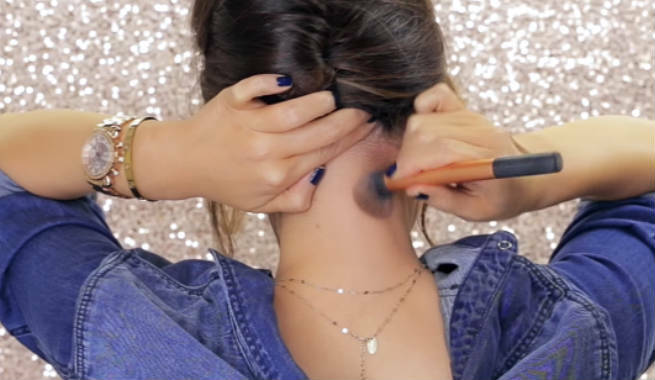 Neck Contouring - The New Makeup Trend To Watch Out! WTF! Neck Contouring – The New Makeup Trend To Watch Out! Neck contouring is basically the most recent version of ‘contouring’ in which the back of the neck is contoured beautifully with makeup to give it a defined look. Sounds weird? Well, you might want your neck to appear slim like a swan while wearing your hair in an updo style, and here is the root of the concept – ‘neck contouring’. The technique is more or less similar to other types of contouring where dark and light makeup shades are used to recede and highlight different areas of a certain body part respectively. However, the difference lies in the fact that you need to do this for the back of your neck in order to bring it more depth and dimension. How Did The Trend Start? Now, a little about how the story actually broke out and became viral over time. It all started when Dubai-based beauty blogger and ‘Makeup Guru’ Huda Heidi Kattan, more popularly known as ‘Huda Beauty’, uploaded a short video clip of contouring the back of neck to her Instagram page. 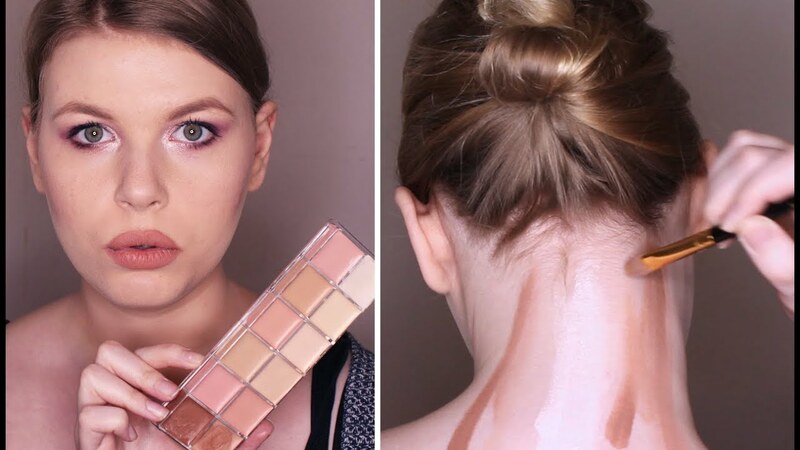 Huda has gained huge popularity for her unique makeup techniques and this neck contouring hack tutorial has earned her approximately 80K likes from her 11 million fans. 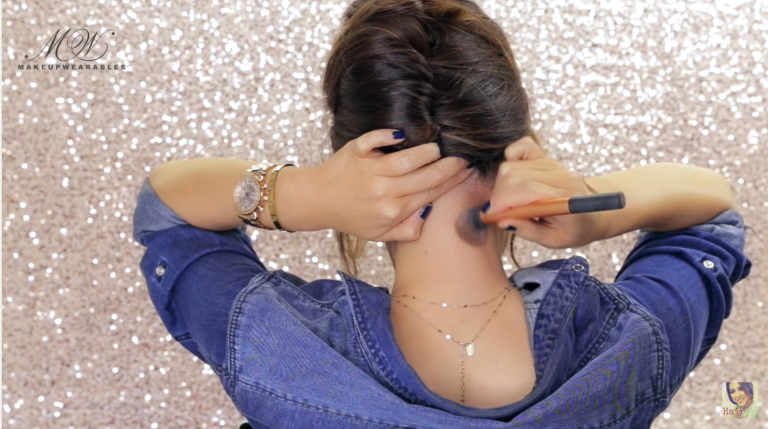 Later, another well-known beauty vlogger Makeup Wearables also came up with a simple DIY technique of neck contouring in order to make the nape of the neck slimlined as well as sport graceful-looking updos. How To Contour The Neck? Start with preparing your neck for contouring. You need to move the collar of your cloth off the nape of your neck so that the application of makeup products becomes easy and mess-free. Take a bronzer that is one or two shades darker than your original skin tone and apply it on both sides of the nape of your neck in two straight vertical lines. Make sure that the stripes of bronzer have a gap of at least 10 cm. in between them. 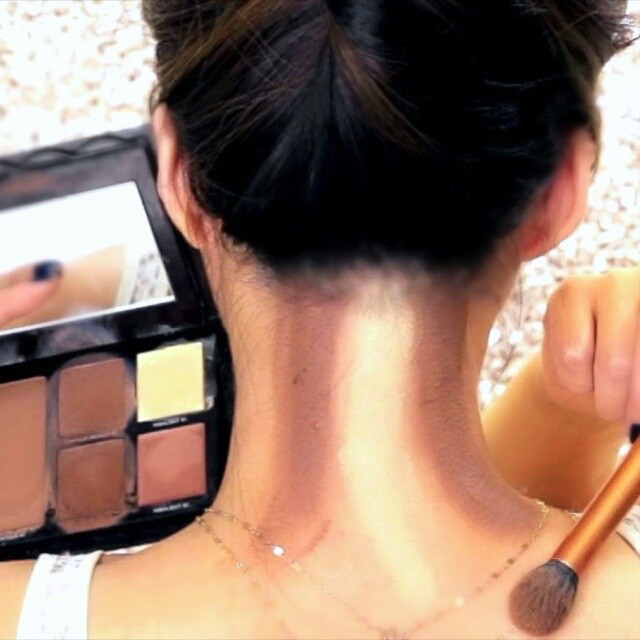 With the help of a powder brush, start blending the vertical lines of bronzer in your skin. There should be no prominent trace of line left on the skin. 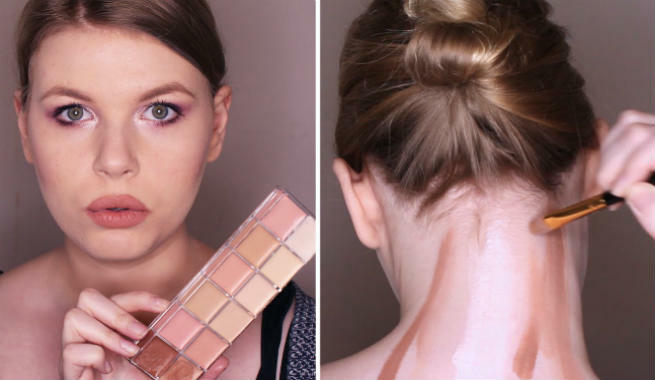 Now, take your favorite liquid foundation in one shade lighter than your actual skin tone and draw a line with it right in the middle of the back of your neck. Blend it into your skin nicely with a foundation brush. Voila! How Popular Is Neck Contouring? Well, the concept of neck contouring has been slammed on social media badly. The simple and easy-to-follow procedure has been called ‘ridiculous’ and ‘unnecessary’ by a lot of women as there is really no point in contouring the back of the neck. The fact is that a woman’s gracefulness is not, by any means, determined by the beauty of her nape. Though it transforms the neck from too fat to perfectly slim, no one even cares about how the back of the neck appears while there are so many features in our face to focus on. Hence, it has been considered as a waste of time and makeup. However, after all the criticism, it can be said that the tutorial is an absolute fun and there is no harm in trying it. Don’t you think so? The process of neck contouring might turn out to be a little messy as you can’t have a mirror at the back of your neck to keep an eye on your application. You might also find it impossible to do on your own. But ‘practice makes a man perfect’ and you should never give up, especially if you are really dying to get your hands on it. Moreover, you should not wear anything white while giving neck contouring a shot as it will stain that piece of cloth, which is certainly not much appealing. Let’s keep the controversy away. The truth is that neck contouring is a thing. Try it or skip it. But you definitely can’t ignore it. So, what do you think about this latest contouring trend? Are you game for it?